Do I have Anxiety Disorder Symptoms? We have all felt butterflies in our tummy before an exam or a job interview or before speaking to a crowd. But are these instances of anxiety related to anxiety disorder symptoms? Do you need to seek help? Anxiety is part of our body’s normal flight-fright-fight response to any danger (real or perceived). When anxiety is present in moderate amounts, it works positively to help you stay alert and jumpstarts you into action. On the other hand, when anxiety overpowers you, it may prevent you from thinking rationally and may even stop you from functioning normally. This is when you may have crossed over the fence from being someone who gets occasionally anxious to being someone who needs to seek help for his anxiety disorder diagnosis. How does your body experience Anxiety Disorder symptoms? You are troubled by fears that you know are not rational, but still cannot shake off. Do I need to see a doctor for anxiety disorder symptoms? Your worrying causes interference in your daily work or family life. It lasts for most days about many things for at least six months. Your anxiety is associated with 3 out of the 6 symptoms of tiredness, restlessness, irritability, disturbed sleep, difficult concentration or muscle tension. You have symptoms of depression or other psychiatric disturbances along with anxiety. 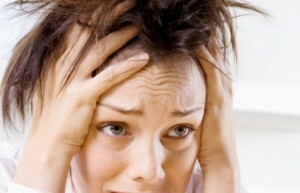 If you feel that you may be suffering from anxiety disorder symptoms, do visit your doctor. The earlier you begin treatment, the faster you are likely to recover. Homoeopathy offers excellent scope in anxiety disorder treatment.